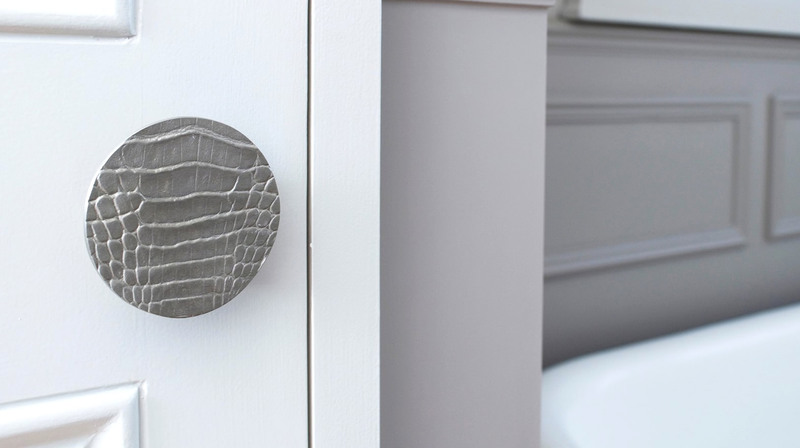 Haute Déco is well known for its extensive collection of decorative cabinet handles in textured bronze. 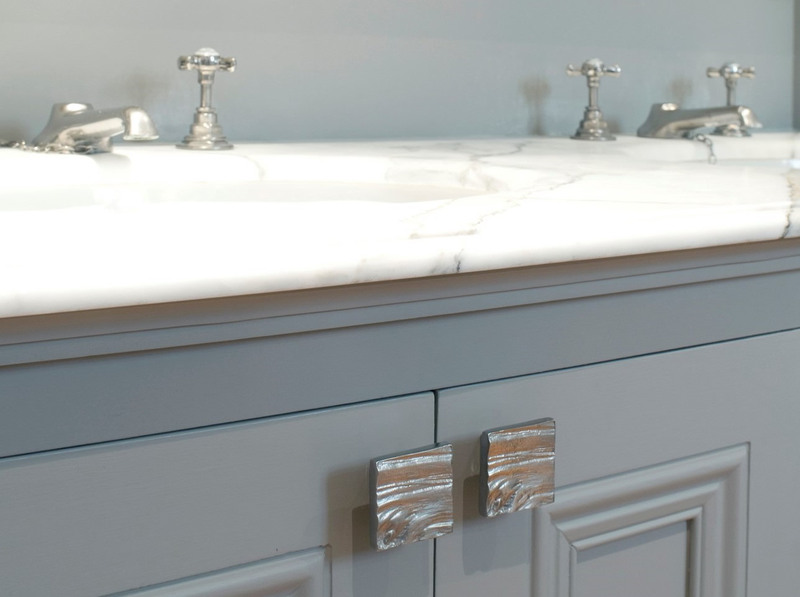 Generally speaking, cabinet knobs can be ordered in 3 sizes to suit anything from smaller drawers to full-height wardrobes. They can be used in conjunction with furniture handles, sometimes available in 2 sizes. 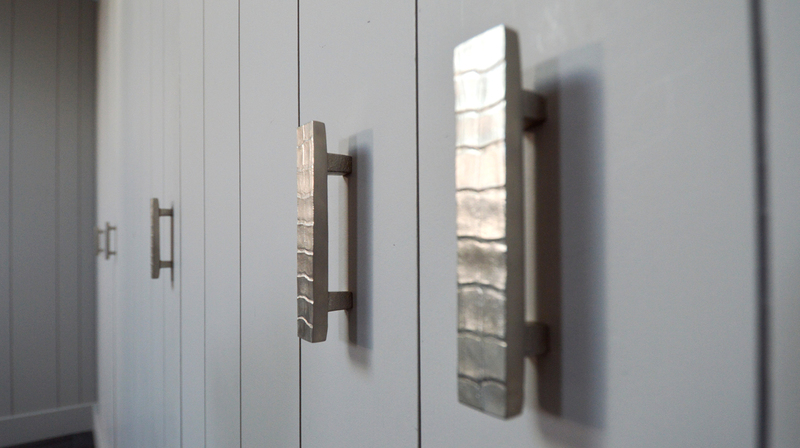 Small plate handles for special cabinetry complete the set.